Wheelchairs at US Medical Supplies of Lexington, KY. 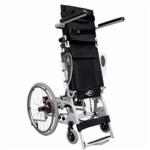 US Medical Supplies carries a wheelchair designed to suit every type of user. Choose from traditionally designed wheelchairs available in lightweight and ultra-lightweight models, or peruse our line of fully-featured power wheelchairs, available in travel sizes and heavy duty configurations. 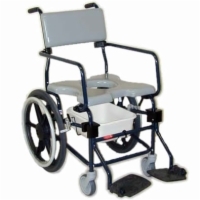 We also carry transport chairs sized for both adult and pediatric use, as well as wheelchairs suitable for use in the shower and toilet. Wheelchair athletes, we have what you're looking for, too - check out our sports wheelchairs and get yourself a brand new rig that's perfect for hand cycling, basketball, or tennis! Shipping is FREE for every wheelchair found on our site. Call today to speak to our factory trained wheelchair experts. 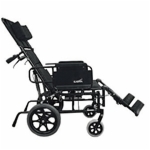 If you have limited manual dexterity or are seeking an advanced automated wheelchair solution, please browse our selection of power wheelchairs by Pride Mobility and Golden Technologies. We offer power wheelchairs of varying sizes and weight capacities, so whether you need a small travel model or a heavy-duty power chair suited to outdoor terrain, we can help you find a solution that works. Call now to speak with a mobility specialist and learn more about power wheelchairs! There are several different types of manual wheelchairs available on today's market, each of which is best suited to specific uses. Here we'll explain the various categories of manual wheelchairs and which users will find them most applicable to their day-to-day living. As always, if you have further questions about a category of wheelchair or a specific model, please don't hesitate to contact our mobility specialists. Standard wheelchairs are the most basic of manual wheelchairs, and the most commonly used by mobility-impaired individuals. A standard manual wheelchair typically weighs between 35 and 47 pounds, with seat widths varying from model to model. Weight capacity also varies from chair to chair - the basic Invacare Tracer EX2 supports weight loads up to 250 pounds, while the Medline Excel 3000 can support up to 300 pounds. Lightweight wheelchairs are made so that the total weight of the chair does not exceed 35 pounds, with some models such as the Karman 105 Ergonomic Wheelchair weighing as little as 27 pounds. Weight capacities still range from 250 to 300 pounds depending on the wheelchair, and all of these lightweight wheelchairs are made with folding frames, so carrying one along with you is as easy as possible. Ultra-lightweight wheelchairs are crafted from extremely lightweight materials like aluminum and titanium and are the lightest wheelchairs available on today's market. Every ultralight wheelchair we carry weighs less than 28 pounds, with some models such as the TiLite ZRa and TiLite TR weighing in at under 11 pounds! Titanium wheelchairs are especially useful for everyday wheelchair users, due to the naturally shock-absorbent nature of titanium alloys. 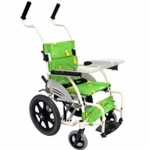 Bariatric wheelchairs, also referred to as heavy duty wheelchairs, feature extra wide seats and reinforced frames to accommodate high weight loads. These wheelchairs weigh between 42 and 85 lbs., with weight capacities ranging from 300 to 700 lbs. 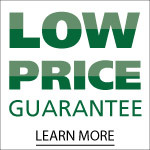 Choose a low-cost option such as the Tracer IV, which supports 350-lb. 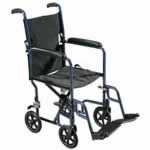 weight loads at just over $300.00, or go for a fully-loaded premium Excel Shuttle Bariatric Wheelchair. Pediatric wheelchairs are designed with both young users and parents in mind. If your child has a condition that causes him or her to be exceptionally active, a pediatric wheelchair or stroller chair is a good alternative to a traditional stroller. The Karman Adaptive Stroller, for instance, is made with a 4-point harness and leg strap to prevent the rider from motion that could cause injury during motion. Pediatric wheelchairs weigh from 20 to 27 lbs., with weight capacities ranging from 66 to 130 lbs. Most models are made to collapse and fold for easy storage inside your vehicle. 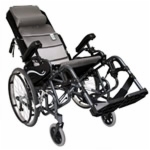 Reclining wheelchairs are built with back rests that lower, with some reaching a full flat 180-degree angle. If you are a wheelchair user with circulation issues or a dysfunctional bowel or bladder, your doctor may recommend a reclining wheelchair to boost your quality of life. These wheelchairs typically weigh between 34 and 50 pounds and can support users weighing up to 250 pounds - although one high capacity model, the Excel Reclining Manual Wheelchair, has a weight capacity of 300 pounds. Shower wheelchairs are optimized for use in the bathroom or shower. These wheelchairs are built from durable, waterproof materials and have seats designed to give a user easy access to the toilet. 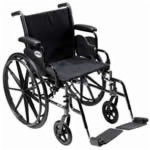 We offer a variety of shower wheelchairs at different price points with varying features, so whether you require a deluxe model for long term use like the ActiveAid Tilt-In-Space Shower Commode Chair, or you are simply seeking an affordable solution for short-term recovery and rehabilitation such as the Nova Ortho-Med Commode Shower Chair, we have a shower chair that will fit your needs. Sports wheelchairs are made especially for wheelchair athletes who participate in activities such as hand cycling, tennis, or basketball. 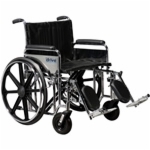 These wheelchairs typically feature cambered wheels to allow the user added maneuverability. Our sports wheelchair models weigh no more than 24 pounds and can accommodate weight loads up to 250 pounds; the exception to this is the Invacare Top End Excelerator Handcycle, which has additional parts that add to the total unit weight and sturdy construction allowing for users up to 350 pounds. Tilt wheelchairs feature back rests that recline at shallower angles than fully reclining wheelchairs do, which lets users redistribute their body weight. These chairs offer greater comfort to users while seated, and for less-active wheelchair users, a tilt wheelchair can prevent pressure sores and friction burn from remaining stationary in an uncomfortable position for long durations of time. Currently we only offer two tilt wheelchairs by Karman - a tilt transport chair and a user-operated tilt wheelchair. Transport wheelchairs are designed for wheelchair users who are incapable of self-propelling or require constant supervision. These wheelchairs cannot be moved by the occupant and require a second person to push and maneuver the chair. Transport wheelchairs weigh from 18 to 36 pounds depending on their features and some models can support weight capacities up to 300 pounds. For the best value, choose a Nova steel transport chair, or get a Nova Deluxe transport chair with detachable arms for easy transfer in and out of the chair. 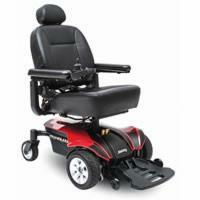 We also carry a Nova Heavy Duty transport chair with a 300-lb. weight capacity. Q: Can I file for Medicare reimbursement for a manual wheelchair? A: Currently, Medicare only reimburses its enrollees for the rental cost of a manual wheelchair. Because we deal exclusively in sales rather than rentals, no Medicare benefit can be applied toward your costs. Q: How much will I pay for shipping when I order a manual wheelchair from you? 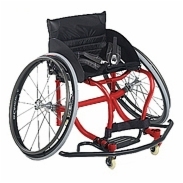 A: Shipping is included in the price of every manual wheelchair advertised on our web site - the price you see is the price you will pay, and no additional shipping charges will be assessed on your order. Q: Can you provide replacement parts for my manual wheelchair? A: Certainly! Simply click here to fill out our parts request form, and one of our parts specialists will contact you with information on pricing and availability. All parts orders of $50.00 or more ship free of charge; parts orders totaling less than $50.00 incur a $8.99 shipping surcharge, however. Q: What is your return policy for your manual wheelchairs? A: We accept returns on stock manual wheelchairs within 10 days of receipt. If your wheelchair is damaged or defective, we will replace or repair it at no charge. For any other reason, we will refund your money minus the cost of shipping and a 15% restocking fee. Custom-built wheelchairs generally cannot be returned. Certain custom models may be returned, however, and we will refund your money minus shipping costs and a 20% restocking fee. Always ask the wheelchair specialist who assists you with your order about the return policy for the wheelchair model you are considering before ordering to avoid unnecessary charges. 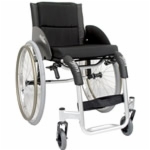 Q: I'm looking for a way to add extra storage to my manual wheelchair for personal belongings. Do you have any products that can help me with this? A: You bet! We carry a full complement of wheelchair accessories designed to enhance the convenience of your wheelchair, whether you use a manual model or an electric one. 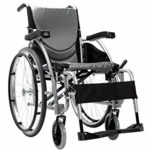 Click here to view our full catalog of wheelchair accessories!